Join us for some scary fun all treats no tricks! Grand prize for best costume complete skin care kit from glo therapeutics. No appointment necessary for filler injections or botox. Purchase 2 vials of kybella $1200.00 get $100.00 off and use bd points for additional savings. Dual treaments of botox, juvederm or voluma receive $100.00 off and can be combined with bd points. Purchase two juvederm syrings and receive 20 units of free botox. Purchase latisse 5ml kit and receive free 3ml kit rebate coupon plus earn 150 bd points. 15% off zo skin care or glo therapuetics skin care line. Complimentary plastic surgery consultations and skin care evaluations. Company representatives available for individual consultations. Meet allergan rep to discuss kybella an injectable to improve the apperance and profile of moderate to severe fat below the chin. Meet naturelle rep to talk about breast implants and sizing. Meet the latisse rep to trick your lashes and treat your lines with new hylauronic skin care product and have your picture taken with the reveal camera for a personal facial assessement report. Meet the zo rep to discuss the zo skin care line from dr. Zein obagi. Check our yelp ap for additional savings. Refreshments, appetizers, raffles and gift with purchase while supplies last. 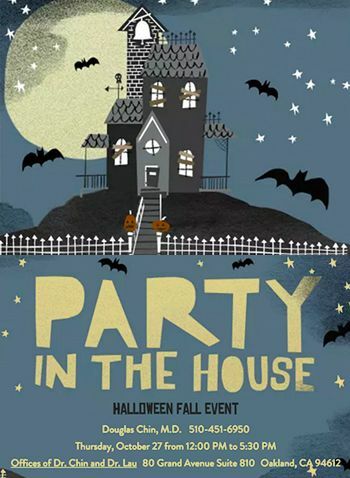 Rsvp edeleon@eblasticsurgery.Com or (510) 451-6950 It will be a spooktacular event don’t miss it.